The Love Lock Wall is back at Vaughan Mills Shopping Centre! For the third year in a row, my "home" mall is giving the gift of love this holiday season, raising money for Sick Kids Hospital in Toronto. To Lock Your Love, purchase a padlock (one for $15 or 2 for $25), leave a message and lock your love on the wall. Each padlock comes with a "key-psake" necklace and tage that you can give as a gift. This is a wonderful idea for a teachers, kris kringle, or 'just cause. In addition to the Love Lock Wall, make sure you visit Santa's Tiny Big Town. Take a photo with the man in red, and guess what? All proceeds from Santa's Tiny Big Town also go to Sick Kids. I mean, how amazing. If you're going to take your kids to see Santa anyway, you may as well help a worthy cause at the same time. To date, Vaughan Mills has raised $280K for Sick Kids in Toronto. I'm so proud to be supporting this initiative and applaud Vaughan Mills for this amazing concept at the mall. The Love Lock Wall is officially open and will remain open for purchase and donations through the holiday. And Santa's ready for his close-up. 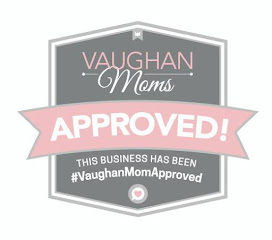 For times and more info: www.vaughanmills.com. Watch a short video on the Love Lock Wall!